I try to refrain from promoting my books too much on this blog, but it seems particularly apropos this time as I chronicled my adventures here while working on Hiking Tennessee from October of 2013 through August of 2014. Hiking Tennessee brings to life the history, terrain, wildlife, and natural features of each area. The vivid descriptions of the foliage, animals, and well-known and local historical accounts of each area provide and invitation to explore and experience the trails yourself. 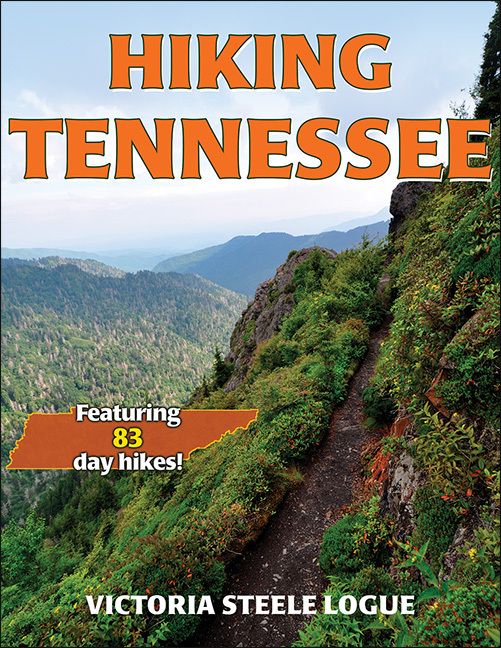 Hiking Tennessee is your guide to enjoying the great outdoors! Or find it at GoodReads where you can enter to win a copy. The Giveaway ends April 30, so hurry! You can also order it through your local bookstore. Bald River Falls by Frank. Despite the rain, we were more than ready to tackle the final two trails today. The drive to the first trail was infinitely more impressive than the trail, itself. Besides being the very definition of a road leading you to the back of beyond, for much of its length the road paralleled the beautiful Bald River. At one point a bridge over the river provided awesome views of the Bald River Falls to our right. Breathtaking. The hike, itself, let’s just say: WET. Okay, that was Drive #1. It took us more than an hour and a half to get there with more than 25 miles on forest service roads. Drive #2 was to get us to Cades Cove in the Smoky Mountains. There went another three hours. And keep in mind that all this time it is raining. And, once we got to Cades Cove, it took us forever in bumper-to-bumper traffic to get to stop #10 on the drive, which was our cue that the trailhead was approaching. One of the several footbridges over tributaries. 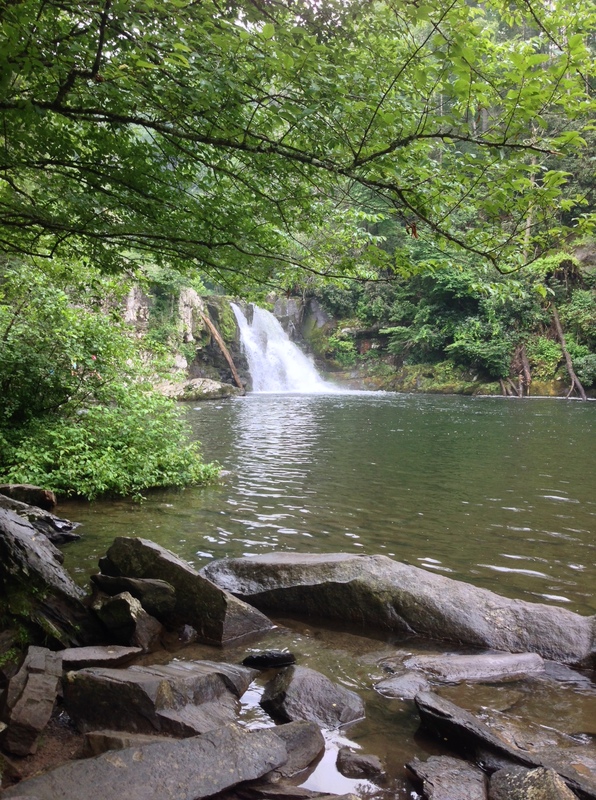 The hike to Abrams Falls is one of the most popular in the Smokies as well as one of the most dangerous destinations. You’re fine if you just stay on the rocks around the falls, but if you attempt to swim, you are very likely to die. 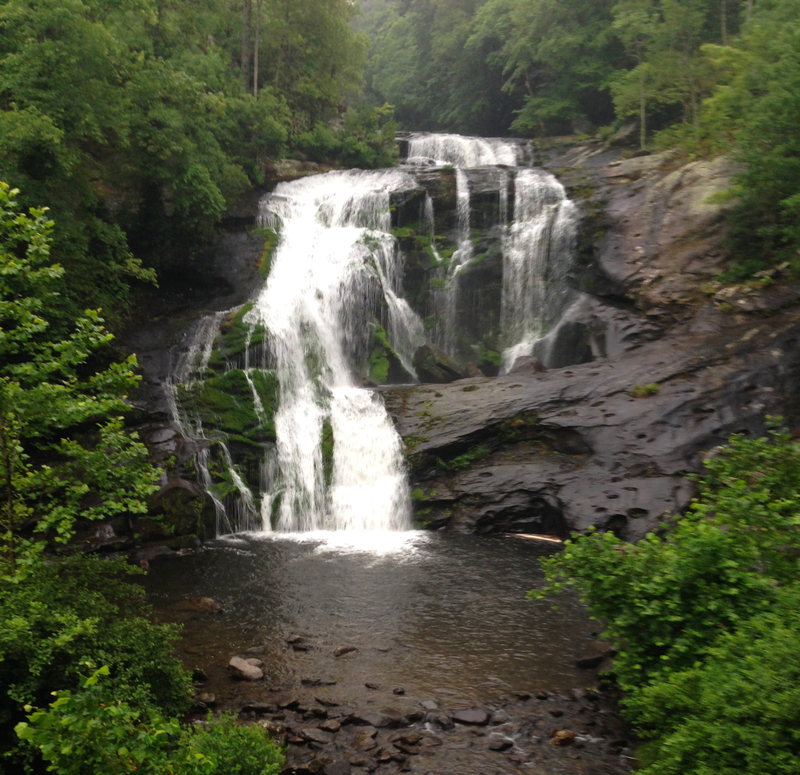 But, the falls are awesome in that they are the most voluminous in the Smokies. 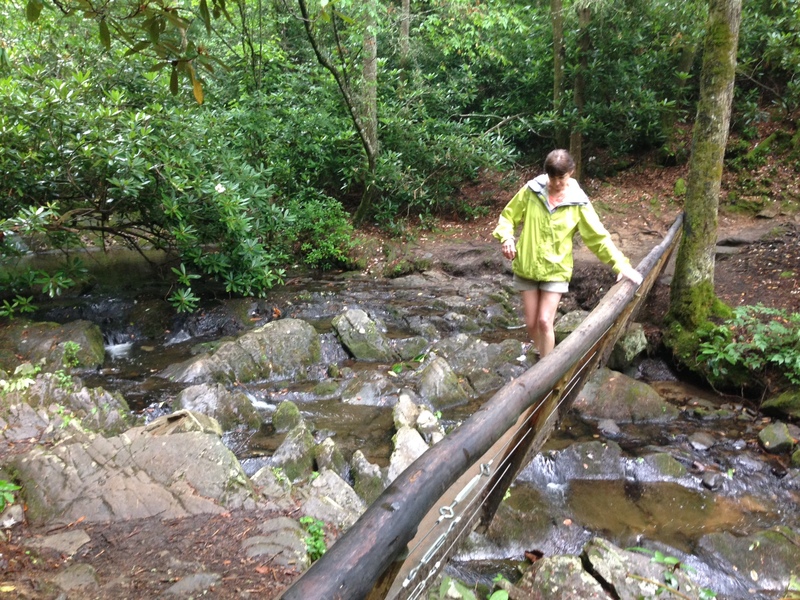 We were given a short reprieve from the rain on the hike in, but were drenched on the way back. But, all in all, the hiking was effortless compared to the driving–jammin’ in a positive sense. Abrams Falls. See how inviting its pool looks? Looks are deceiving. I wanted to celebrate finishing my final hike for “Hiking Tennessee” but I was cold, wet and hungry by this point, and was just looking forward to being on the other side of the Smokies and heading back to Georgia. And that’s when we entered Tourist Traffic Hell. 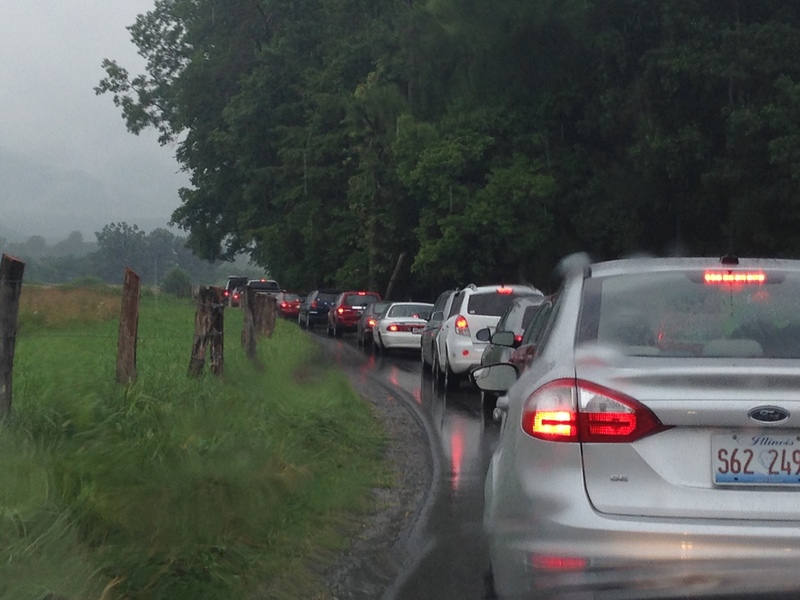 Bumper-to-Bumper, 4 miles-per-hour traffic to drive out of Cades Cove (took us about an hour). Then more traffic, moving very slowly, to Sugarland where we hit US 441 to take us over Newfound Gap to Cherokee, North Carolina. The slow traffic continued to Cherokee where it became standstill for minutes at a time and then heavy traffic all the way to Asheville and more bumper-to-bumper on Interstate 26 South. Oh yes, and it was raining the entire time. We ended up going from 730 until nearly 530 before we were able to eat again. Great hiking but a stressful day, driving wise. But, I am through hiking. At least, I have finished hiking trails at breakneck pace for a book. From now on, hiking is going to be because I want to take time and enjoy being in the outdoors I love so much. Hiking 111 trails in six months is just a little too much.